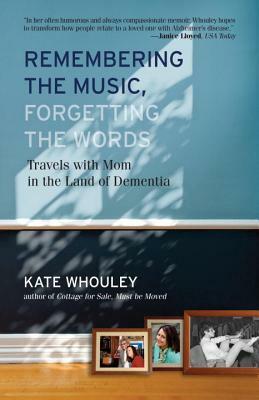 Kate Whouley is a smart, single woman who faces life head-on. Her mother, Anne, is a strong-minded accidental feminist with a weakness for unreliable men. Their complicated relationship isn’t simplified when Anne exhibits symptoms of organic memory loss. As Kate becomes her mother’s advocate and protector, she will discover that the demon we call Alzheimer’s is also an unlikely teacher—and healer. For anyone who has faced and fought the decline of a parent or loved one, this book will touch your heart, make you smile, and, quite possibly, change the way you think about love, life, and loss.